Always look for natural solutions to medical issues. 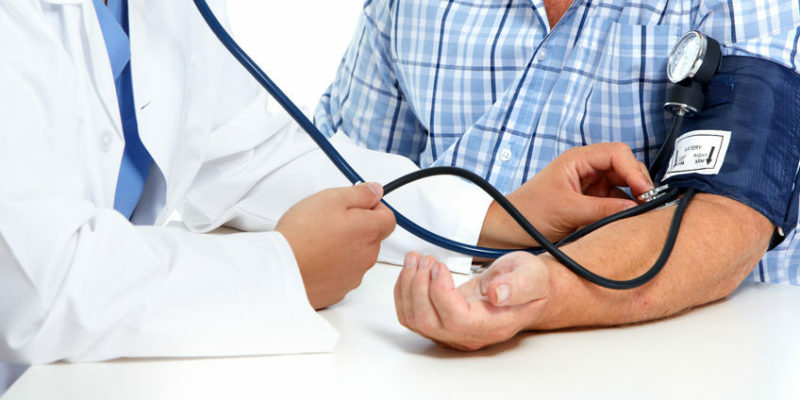 Conventional medicine wants to treat high blood pressure with prescription medications. Medications mask problems, they don’t cure them. Medications make money for Big Pharma. Natural solutions don’t. I want you to reduce your high blood pressure by curing the cause of it. 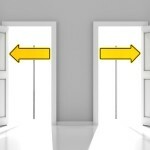 Here are 10 natural ways to make that happen. This is one of the first steps towards health. Eating only organic foods eliminates the pesticides associated with conventionally grown food and protects health. These chemicals are toxins to the body (see #10) that can wreak havoc everywhere including within your blood vessels. They act as irritants to the lining of the blood vessels and this can result in high levels of inflammation and oxidative stress, which ultimately narrows the arteries and results in decreased blood flow and high blood pressure. The Paleo diet is our favorite way to make a sustainable lifestyle change and reduce blood pressure naturally. The Paleo Pyramid is rich in fresh fruits and vegetables, healthy fats, nuts and seeds, grass-fed meats and wild-caught seafood, all of which contain the key nutrients to support optimal cardiovascular function and normal blood pressure. Being overweight or obese puts immense strain on the heart muscle and its blood vessels. This contributes to high blood pressure over time. Increased body weight (along with other factors that arise with Metabolic Syndrome) requires increased amounts of blood and oxygen to be pumped throughout the body. This results in an increased amount of blood being pumped through the circulatory system and an increased amount of pressure on the artery walls. Additionally, higher weight can increase the heart rate, which can decrease the amount of blood the body can pump through its blood vessels. Often, heart rate and blood pressure can rise together as they are closely tied to one another. Lose the weight then lose the pressure. Read more about the health effects of Metabolic Syndrome and obesity and how to reverse them. Fish oil contains the essential omega 3 fatty acids (EPA and DHA) that are needed for healthy blood flow and normal blood pressure. If you aren’t eating wild-caught fish that are rich in omega 3 fatty acids more than a few times per week, you are likely deficient in these essential fats. 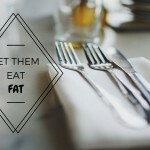 And these are essential fats, which means that you must obtain them from your diet (or supplement) because your body cannot make them. 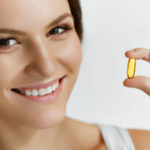 Try supplementing with a fish oil supplement daily to reduce blood pressure. Omega 3 fats are one of the best nutrients to keep your arteries healthy and clear. If you have chronic, high blood pressure then you likely need some extreme nutritional therapy to get it under control and back to normal. Many of our patients make a daily drink aimed at naturally boosting nitric oxide, improving blood flow and reducing blood pressure. This drink contains two essential blood pressure supplements that increase nitric oxide and dilate blood vessels called Heart Beet powder and Vessel Support powder. Mix the two together for a powerful, anti-hypertensive combo. Talk to your natural doctor today about adding these into your blood pressure lowering regimen. Magnesium is the heart’s mighty mineral. Without enough magnesium, cardiovascular function begins to deteriorate. It is one of the main minerals we test for when we are trying to heal the heart. Magnesium deficiency is linked to increased risk for heart problems. Magnesium can improve blood flow, which helps to keep blood pressure normal. It also helps the blood vessels relax and helps the nerves and muscles function properly. Additionally, it is needed for the transport of potassium, which further aids in improving blood pressure. Check out our recently launched Magne 5, a comprehensive cardiovascular magnesium supplement loaded with the five forms of magnesium scientifically proven to the help the heart out. Potassium is a key mineral involved in blood pressure regulation. Potassium is needed for muscle function and to help the blood vessels relax. It also helps to prevent irregular heart beets and keep the blood flowing normally. Additionally, potassium helps to balance the effects of sodium. 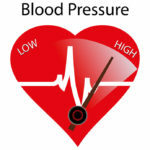 High blood pressure can often result from sodium levels that are too high and potassium levels that are too low. This type of imbalance often results from the processed food intake associated with the American diet. Sodium causes the kidneys to hold onto fluid (and not excrete it) and this can cause fluid to build up and pressure within blood vessels to increase. Skip the salt and load up on foods rich in potassium. Your heart and health will thank you. Check out our list of the top 10 Paleo foods rich in potassium. 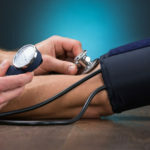 There are certain foods that have been shown to significantly reduce blood pressure due to their effects on blood vessel structure and dilation. Additionally, diet is one of the main things you can alter to improve blood pressure for the better. Focus on fresh foods (rich in potassium) and eliminate processed foods (high in sodium) to restore the balance of key minerals in your body. Check out our list of the top 8 foods proven to reduce blood pressure. Chiropractic care is one of the best things you can do for high blood pressure. It helps to control the autonomic nervous system, which is the electrical system of nerves that controls blood pressure regulation. We have seen many of our patients blood pressure readings return to normal simply by going to see a doctor of chiropractic. Regular adjustments can help to realign the spine and allow for normal relaxation and contraction of muscles and blood vessels. They also can decrease inflammation, further protecting against hypertension. Learn more about the preventative effects of chiropractic care against cardiovascular disease. Sunshine causes the endothelial layer of your blood vessels to widen and relax, which results in vasodilation (or lower blood pressure). Additionally, it converts excess cholesterol in your skin to the heart-healthy nutrient vitamin D. This helps to decrease buildup of cholesterol and prevents atherosclerotic plaques from forming, thus preventing high blood pressure. Vitamin D deficiency is linked to endothelial dysfunction, increased thickness of arteries and increased risk for high blood pressure1. Get at least 20 minutes of full body sunshine daily to prevent high blood pressure naturally. Toxins are chemicals that can cause damage to just about anything in the body. These toxins are harmful to blood vessels and can cause increased amounts of inflammation and oxidative stress within them. Over time, high inflammation and oxidative stress narrows the arteries and raises blood pressure. Eliminate chemicals used in household products and your home as these can irritate blood vessels and cause them to constrict. Get rid of tobacco or high levels of alcohol consumption, both of which are considered toxins. Decrease stress, as this acts like a toxin to the body. Read more about the natural (toxin-free) products we use every day.